Just over a month ago, I published a pair of posts--here's the first one, and here's the second one--that detailed a handful of games I'm looking forward to playing between now and the end of 2015. My original intention was to wrap up this series (if it can even be called such a thing) within a couple of days of the second post's introduction to this thing we used to call the World Wide Web, but, well, if you've been visiting this blog for any amount of time, you know that's how things go sometimes. With all of that out of the way, let's get to the final five games that I'm looking forward to playing before this year comes to a close. The Legend of Legacy (3DS)--Is it weird that I'm going to buy the North American version of this open-ended, SaGa-esque RPG even though I've owned the Japanese release for some time now? (You can read about it, and peruse some photos of its beautiful packaging, in this previously published post, if you're at all curious.) I don't think so, especially since I'm basically stumbling through my current copy of the game at the moment. I was OK with that when it was my only option, but once an English localization joins it as a possibility I won't hesitate in swapping out the former in favor of the latter. Monhun Nikki: Poka Poka Airu Mura DX (3DS)--Here's another entry that may shock a couple of people, as back in February I devoted an entire post to small handful of photos I'd taken of the first Animal Crossing-ish Monhun Nikki: Poka Poka Airu Mura game that was made for the PSP, which I had acquired a few weeks earlier. Considering I've yet to even pop the aforementioned UMD into either of my PSP systems so far, why would I want to hand over my hard-earned cash to buy this updated 3DS iteration? Because I have a feeling I'll be more likely to play such a game on my go-to portable of the moment (Nintendo's latest dual-screened handheld, naturally), that's why. 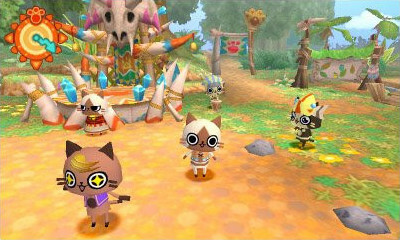 Here's hoping that's what actually comes to pass once this import cart is in my grubby paws. 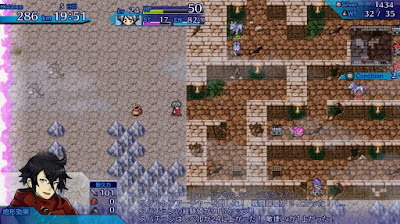 Mysterious Chronicle (Vita)--Some of you may know this upcoming PS4 and Vita game by its Japanese name, which is Fushigi no Chronicle: Furikaerimasen Katsu Made wa. 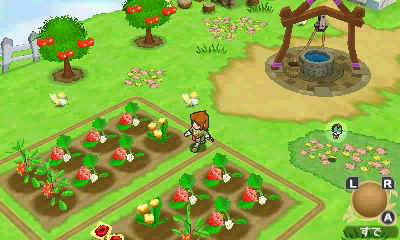 It's a remake, of sorts, of a mobile game called One Way Heroics. 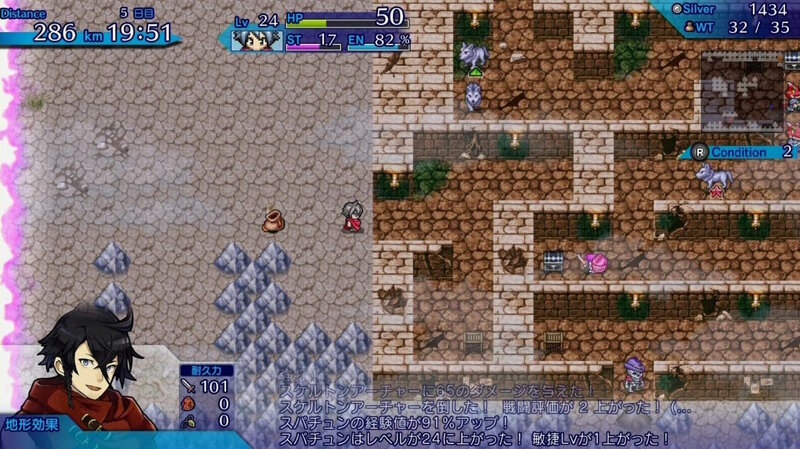 Both titles are roguelikes that, as far as I can tell, take place aboveground--or at least outdoors--as opposed to indoors or below ground, which is typical of the genre. Honestly, that last bit alone would be enough to make me want to track down a copy of the erstwhile Mysterious Chronicle as soon as possible, so when you add in its stellar spritework, well, you should be able to see why I'm smacking myself around for not having it on pre-order. Return to PopoloCrois: A Story of Seasons Fairytale (3DS)--True story: I've wanted to play a PoPoLoCrois (this is how the title is written in Japan, by the way) game for ages. 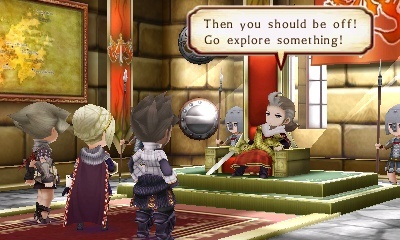 Specifically, I've wanted to play one or more of the three beautiful, sprite-based PoPoLoCrois games--two of which are RPGs and one of which is a roguelike--that were made for the original PlayStation since I first become aware of them a number of years ago. This 3DS-based release isn't as gorgeous as any of those 32-bit efforts, I've got to say, but it still looks pretty good. Plus, I'm intrigued by the fact that this one includes content that calls to mind the Harvest Moon (now Story of Seasons, I guess) series. Yoshi's Woolly World (Wii U)--How am I going to play this precious-looking platformer when I don't yet own a Wii U console? I have no idea, but I'm going to do my best to make it happen. After all, I'm going to need a Wii U if I'm finally going to experience Splatoon, Super Mario Maker and Illusory Revelations ♯FE, right? As for what's pushing me to do whatever needs to be done to experience this game, that would be that it gives off serious Kirby's Epic Yarn vibes. 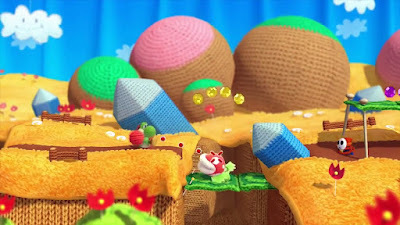 That game was one of my favorite Wii titles, regardless of genre, so if Woolly World is even half as entertaining, it will be more than worth the price of admission. How about you guys and gals? Are you looking forward to playing any of these games between now and the end of 2015? Or maybe you're looking forward to playing some other games that were recently made available or will be made available soon? If so, please let me know about them in the comments section below.